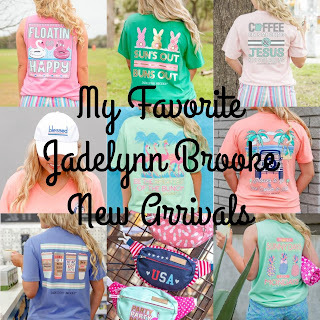 Jadelynn Brooke had been releasing some of the cutest items lately! I'm going to share some of my favorites from the new release. 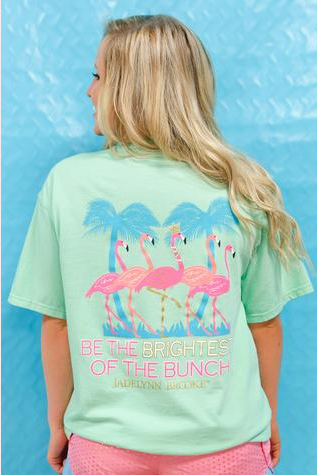 These are also perfect for you spring break trip so you can use my code SLMHS17 (in all capital letters) for 15% off JadelynnBrooke.com. 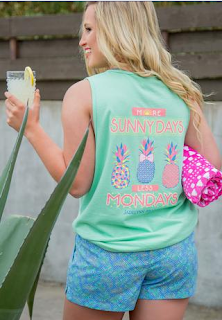 "More sunny days less Mondays" is so me! I love being outside and I hate Mondays! The colors in this are so fun and I especially love the pineapples! Is this not the cutest?! 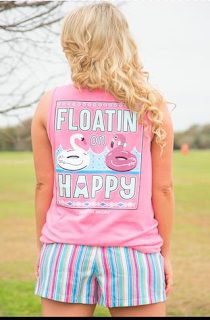 I am in love with the fun pool floaties and this will be perfect to wear this summer! 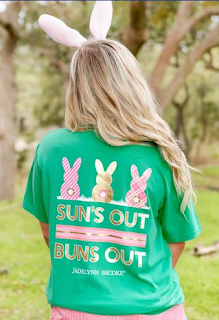 This is a must have for Easter! I already asked my mom if she could get this shirt for me. I love the bunnies and the gold accents. 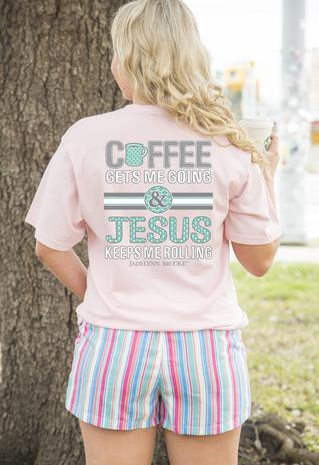 "Coffee gets me going and Jesus keeps me rolling" is totally me! I can't live without my coffee and Jesus! The light colors in this are so pretty and I love that it will be so easy to style. I'm not a big cap person but I love this one! My mom actually got this one for me and I can't wait to style it. I'm going on a trip at the end of the week and will definitely be wearing this! 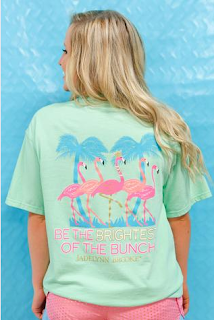 Umm look at the color combo on this shirt! This shirt couldn't get any cuter from the color combo to the flamingo wearing pearls this shirt screams sunny weather! This coral color is amazing and perfect for spring break! 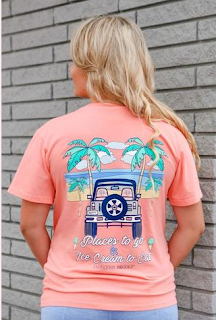 I love the Jeep and the saying on the shirt "Places to go and ice cream to eat!" 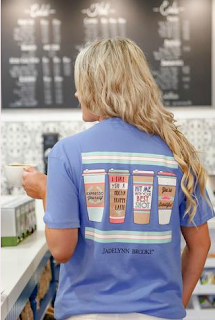 If you love coffee like I do this shirt is for you! The cups each say something cute like "Expresso your self" and "I like you a latte!" 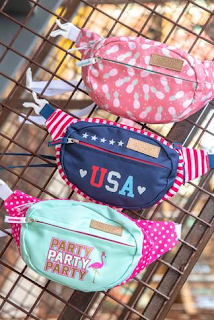 These are perfect for a spring break trip! I love how fun and bright they are and they hold a lot of stuff! 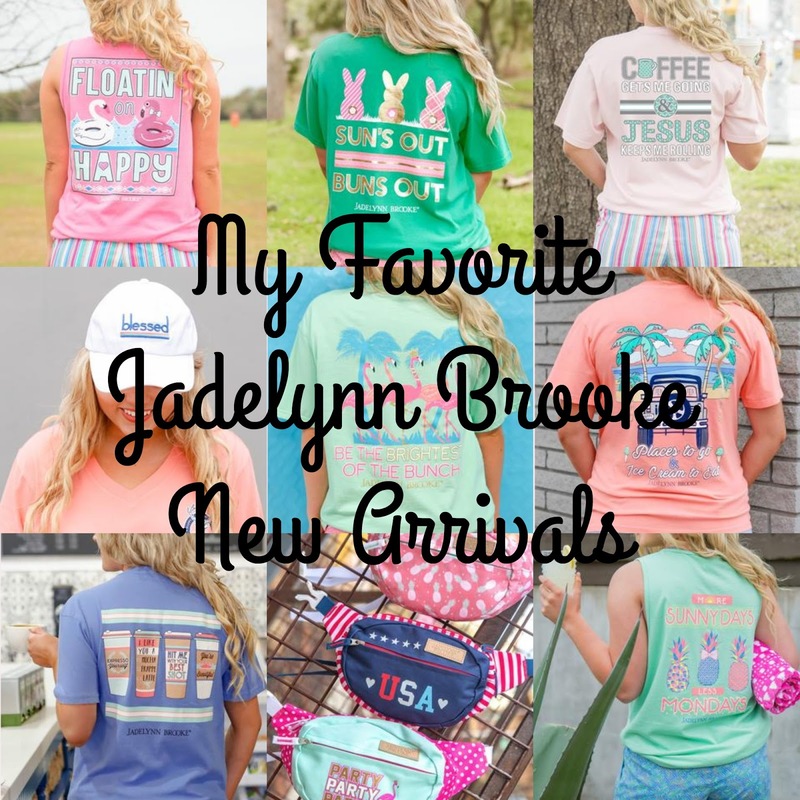 I love these leggings because the color combo is so perfect and they will go with almost any Jadelynn Brooke shirt! I wish there was a better picture showing the bows on the back because they are just adorable!